isicad :: Siemens PLM Software: “We are leaders in PLM"
The annual Siemens PLM Connection Russia 2013 forum in Moscow gave Dmitry Ushakov the opportunity to meet Eric Sterling and ask him about Siemens PLM strategy. You started to work for UGS in 2000. Could you briefly describe the evolution of UGS solutions for Product Lifecycle Management since that time? I’ll be really brief. I think we went from PDM to PLM. From just basic data management to integrating the data, managing the lifecycle of the data, and relating the data in the broad spectrum – anything that has to do with engineering information. We have gone from just managing broad CAD files to managing everything around the engineering process. What is the 4th generation design (4GD) proposed by Siemens PLM Software in brief? And please describe the previous three generations. Design on a board, 2D design, 3D design, and now we propose 4th generation design. It is not just their inner positions, but how I mean them positioned being able to spatially query, functionally query, and logically query information. So there is the analogy we are trying to use to get everybody to understand. Of course do you know about Google? So Google falls around indexes websites and then has a unique way of determining the relevance of those websites. And there is a formula that allows you to determine the relevance. With 4GD we index the information within the PLM system and then apply relevance in terms of spatial, functional or logical relevance. As I said today we’re secure, meaning there is a lot of companies that can access data very fast, but they don’t do that in secure highly distributed fashion. We propose secure, high-performance, extremely fast solution for global enterprise. We are able to work a million different objects in a collaborative environment – I have access to it whether Detroit, Michigan or Moscow, Russia. So 4th Generation Design allows you to build, save and query that information. Could you please position Teamcenter with respect to competitive solutions: Windchill by PTC, ENOVIA by Dassault and PLM 360 by Autodesk? There is nobody that’s managing as much PLM information in the world. As I showed in my presentation we are leaders in PLM. Our differentiation is in terms of our integration of that information. So when I talk about intelligently integrated information I mean that Russian requirements can be related to the ECAD manufacturing process. So that requirement has a lifecyle through out the whole lifecycle and is related other information of that way. You can have a BOM item related to a requirement. 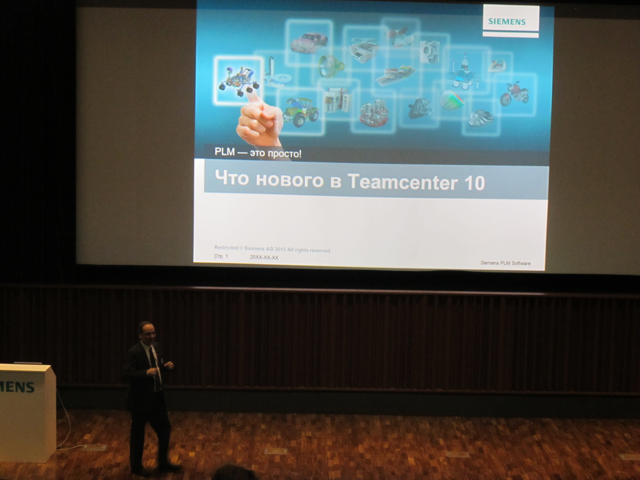 We are also heavily differentiated in how far we can go in manufacturing with Teamcenter. An engineering BOM can go to a manufacturing BOM, can go to a manufacturing Bill of Process – they are all related which means if the EBOM changes, the MBOM knows – it’s not chaos of separate database SQL. So intelligently integrated information, our ability to deploy an extremely large PLM system, and then our usability in terms of what we bringing to market differentiate us across the board and everybody you named. PLM is commonly used in automotive, airspace, and shipbuilding industries. However, recently Dassault Systemes announced using PLM in fashion/apparel industry. Do you have interesting examples of not-so-heavy industries where Teamcenter is effectively used? Yes, we have Teamcenter in retail, in fashion industry where we’re managing information like the seasons, colors for the seasons, trends for the seasons – those all make sense. This is what is called line planning. Teamcenter is even used for line planning, which is colors, trends, materials, and suppliers that supply in house. Other non-traditional PLM examples are energy sector and CPG (Consumer Packaged Goods), where we manage the lifecycle of the plant and formulas and recipes respectively. 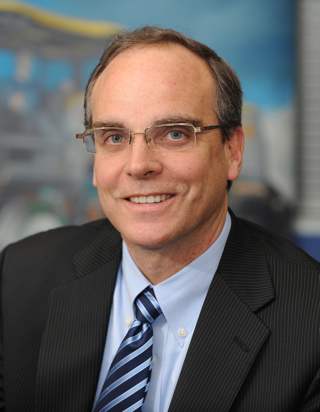 During last years PTC acquired Arbortext and Servigistics, and opened a new business direction – Service Lifecycle Management, which now generates 15% of the total revenue, while the worldwide SLM market is estimated as $2.4 B. What is the answer by Siemens here? I would call it previously known as MRO – Maintenance, Repair & Overhaul. So it’s maintaining for instance the equipment lifecycle in a plane. There is a lifecycle of the equipment, where you build it, you install it, and then you maintain it. So Service Lifecycle Management formally known as MRO. We have all business in Teamcenter as MRO. It’s just PTC renamed that. Dassault Systemes recently announced that they target new market – 3DEXPERIENCE, which is significantly broader than PLM. How do you estimate this initiative of your competitor? We strongly believe that a picture is worth a thousand words, but a 3D image is worth a thousand pictures. We’ve been a leader in 3D since long time ago. The company I used to work for (EAI) was acquired by UGS in 2000 to apply the 3D experience to Teamcenter. And everything that you saw today has a 3D experience. I think it is very good marketing plan by Dassault. We were doing it for 15 years. And I think it relates to your first question about the evolution from PDM to PLM. 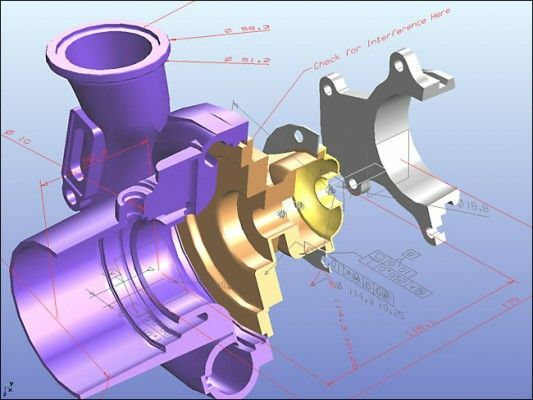 PDM was text-based, text screens, PLM is the full experience: BOM for a business analyst, integration with 3D CAD. If you look at our acquisitions and our strategy, we are very focused on the engineering process and all of the actors that play in the engineering process. And we always believed that the now day-to-day users have to have a 3D image to navigate through this information. What stands behind the strategic cooperation between Siemens and with Bentley Systems? Is it just for creation a bridge between Teamcenter and ProjectWise? Or may be it is possible to create a general data management solution for both PLM and BIM? Most definitely we believe that it applies to our strategy in terms of the engineering environment and doing everything we can to digitize and automate the engineering environment. If you look at a plan of a building, the characteristics are really no different what we do in mechanical design. And we do strongly believe that there is the tighter marriage that we can create between AEC and PLM. The synergetic relationship can go tighter and tighter, the information exchange whether or not PLM manages all the architectural and building information. JT file format proposed by Siemens PLM Software was recently standardized by ISO. Should companies license any technology from Siemens to use JT. Does it install barriers in exploiting JT for small software development companies? I actually started JT Open group, personally. Customers asked us to do that. They said JT file format is mission-critical now. They asked us to open JT standard to work with third party. And we formed the JT Open group. In 2006 JT Open group asked ISO to certify JT file format. It is a free standard now – anybody can use it. There is a free JT Viewer available to all members of JT Open group. Many engineers use AutoCAD and similar 2D software to work with .dwg files. How can it be managed with Teamcenter? And how third party developers can integrate their solutions with Teamcenter? We have an integration of Teacmcenter with AutoCAD and Inventor. As a CTO of Teamcenter I want to manage everybody and anybody. We are open for collaboration with any CAD developer. Thank you for this interview from all readers of isicad.net!